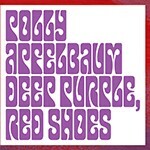 The artist’s book Deep Purple, Red Shoes of Polly Apfelbaum (°1955, Abington, Pennsylvania) was published on the occasion of her eponym exhibition held at Be-Part, Platform for Contemporary Art in Waregem (B) in the Spring of 2015. Apfelbaum’s oeuvre is situated where the arts of painting, sculpture and installation intersect. Her work is a mix of two and three-dimensional art. With her installations, Apfelbaum introduces various ‘female’ techniques such as weaving, into today’s contemporary art world. In Be-Part she combined a modern-day discourse with the tradition of handwoven carpets in a special in-situ project. The traditional woven woolen carpets come from the village of Teotitlán del Valle in the state of Oaxaca in southern Mexico, where the whole community is involved in carpet making. For this exhibition, Polly Apfelbaum designed carpets that practically cover the exhibition spaces. This publication renders a printed interpretation – by Luc Derycke and the artist – of her show at Be-Part. The book starts off with a few enigmatic cut out pages in bright red, orange and purple, representing the shapes of the Be-Part rugs. These are followed by installation views in black and white that still only partly reveal the actual show’s experience. A series of details in full color unveil the installation bit by bit. The books are numbered and signed by the artist.